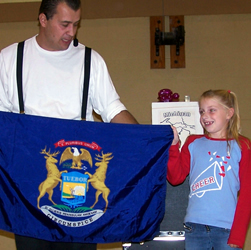 Students will learn about History of Michigan. Gordon will take the audience on a guided tour of the Great Lake State! So pack your bags and hop aboard this “ONE-OF-A-KIND” EDUCATIONAL TOUR! The teachers were very pleased and thought ‘The Michigan Magic Show’ was fun as well as educational!